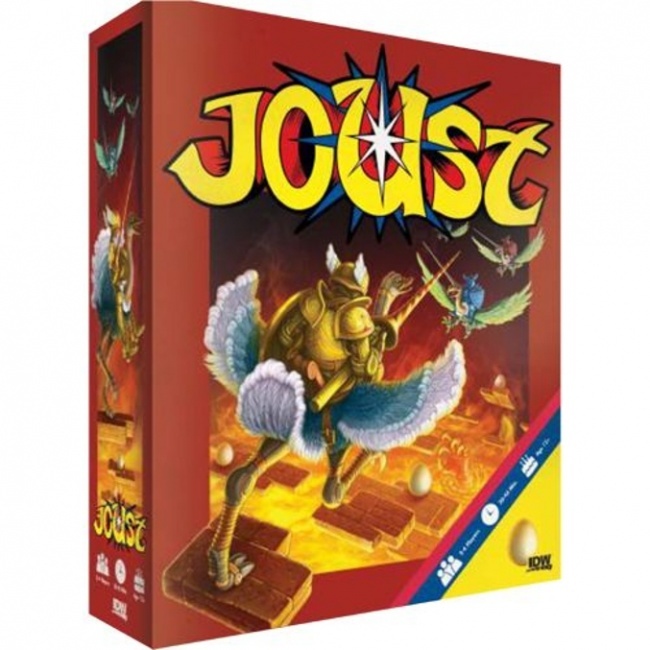 IDW Games will release Joust, new tabletop game based on Williams Electronics classic arcade game, in August. Designed by Luther Bell Hendricks V (co-designer Sentinel Tactics: The Flame of Freedom), players take the role of knights, which take up lances, mount flying ostriches, and do battle with enemy knights riding buzzards. Players must manage their speed and altitude as they attempt to eliminate enemy knights. The unique momentum system for the game has players playing cards that immediately affect the knight, but repeat effects for future turns as well. The box includes: 32 wing tokens, 30 enemy tokens, 20 egg tokens, 12 life tokens, 4 ostrich knight tokens, 1 pterodactyl token, 1 wave tracker token, 20 foot cards, 3 six-sided dice, 1 game board, and a rulebook. The game is for 2 � 4 players, ages 12 and up, and plays in 30 � 45 minutes.